Is six months too long for an investigation? The mandate of the Ombudsman’s office includes investigating complaints by the public. However a local businessman claims to have been waiting for more than six months for the results of an investigation into his claims of unfair practices in the Customs Division of the Ministry of Revenue. Lizzy Hunt asked people on the street for their views on the issue. The world has changed tremendously. Nowadays, a lot of people don’t understand whether they are really doing their jobs to help people or not. Some don’t even care about others, but then we are not judges. We let the Lord be the judge of that, each person knows what to do and if they don’t play their part, more problems will just keep piling up. The said office should be reminded of their role and why they were established in the first place and that is to help the public. The answer is simple. People don’t do their jobs well because they either dislike others or they care less about people’s subjects and issues. This office appears to help only those who they think; they should help, even if their issues are less important than others. My advice to the Ombudsman’s office is to consider every matter that comes to their office. Every matter is important, it’s important to the people who brought it to your attention and because this is your job, then it should also be important to you. Issues like these are happening, this is because people are not doing their duties with compassion. Everyone must consider everyone’s complaint. 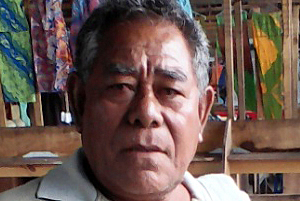 Samoa is a Christian country; we are founded on God and whatever job you have, it must be conducted in a loving manner. They must do it whole-heartedly instead of picking and choosing which issue to investigate. That is not fair to the person who comes seeking assistance from the Ombudsman’s office. In my opinion, some people are not doing their jobs because it’s either they are being too judgmental or they only help those who they know. They end up ignoring the ones who they think are less important. My advice, everyone is important and every complaint counts. I think one of the reasons why the Ombudsman’s staff aren’t doing their jobs is because they are too lazy to go out and complete the tasks that are being given to them. One thing comes to mind is they are being dishonest with how they do their jobs and this causes the frustration for the public who seek their help. I strongly believe that everyone must do their duties according to the job that is being given to them. If their duty is to investigate, concerns by the public then that’s their responsibility. Sometimes, this act of helping others may be little yet to others it is an act of care and love. The Ombudsman’s office tasks and duties are important, and if it’s to help and serve the people that is their responsibility.